Win Our Pencil Drawings Ebook!" Submit your best drawings in our Drawing Contest. It can be either image or video. Upload your best drawing images or drawing videos, let others rate them and the best will win the Pencil Drawings Ebook. 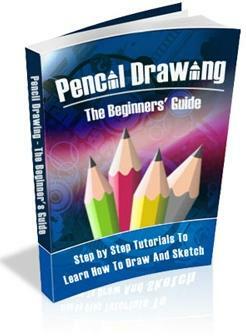 You might win the Pencil Drawing Ebook worth $17 for FREE with bonuses! (Click here for detail). Enter as many entries as you want! Closing date: Midnight 5th June 2010 (EST). Your submission will be rated by our loyal newsletter subcribers as well as future visitors for a week after the closing date. The top three contestants who received the highest vote will receive the ebook. Decisions are final. You can upload your video too! Upload your drawings using the contest form below. Do you have your own pencil drawing? Upload it here? You might win the Pencil Drawing Ebook worth $17 for FREE! (Click here for detail). Enter as many entries as you want! Simply type about your drawing. If you got a video, copy the embed code and paste it in this text box. Click the button and find it on your computer. Then select it. Got more than 1 pictures? Re-upload them one by one using different form.